Visit Discovery Town, which is designed to look like a city street. 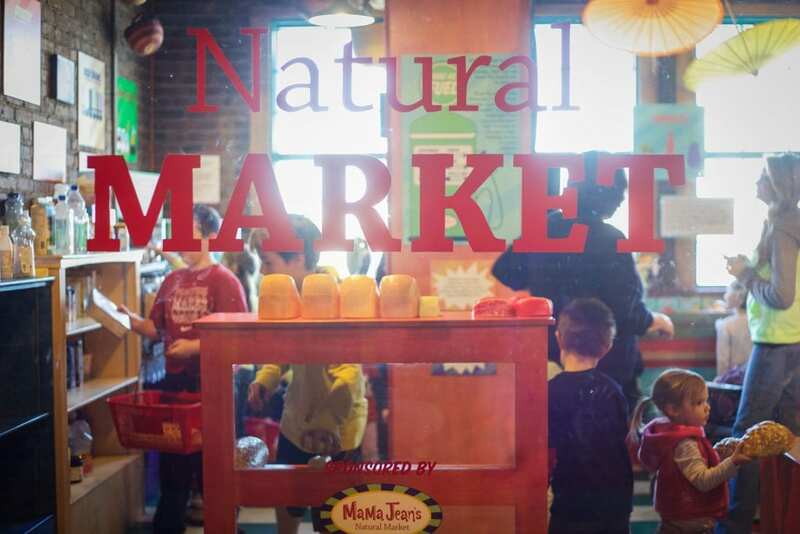 This gallery includes a grocery store, mini TV studio complete with cameras, a newsroom to write your own news article and take your picture, and a theater to perform. Stop by the Engineer’s office to design your own structure with ramps and balls. 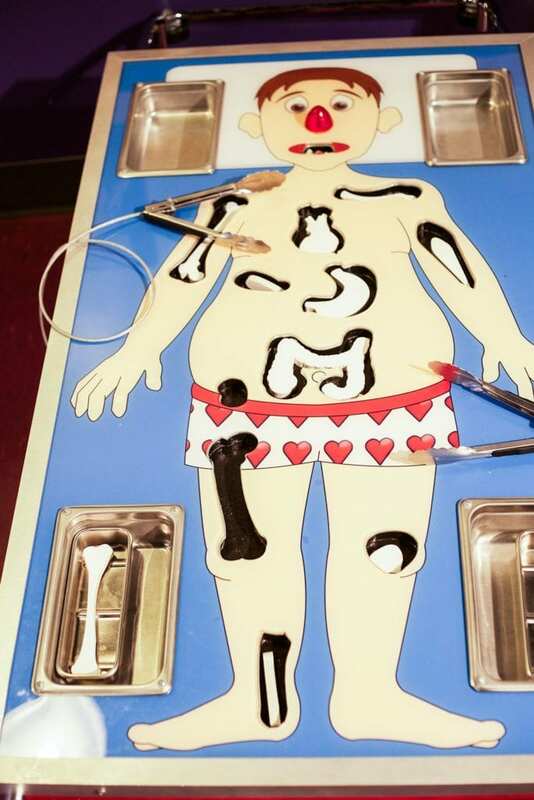 BodyWorks is an extravaganza of health-related displays that explore the human body, health, and wellness. 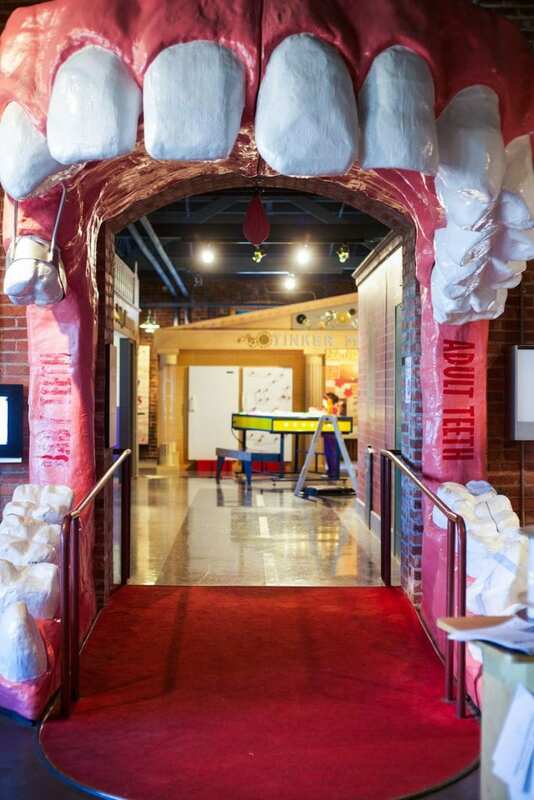 Sense-sational Hall houses unique exhibits like Big Mouth, Eye Spy, and Brain Central that allow visitors to investigate the workings of the human body through giant-sized anatomic models. The HighWire Bicycle is an interactive exhibit that allows visitors to experience the law of “center of gravity” in dramatic fashion. The force of gravity acting on an attached counterweight will offset a force that causes the system to tip. 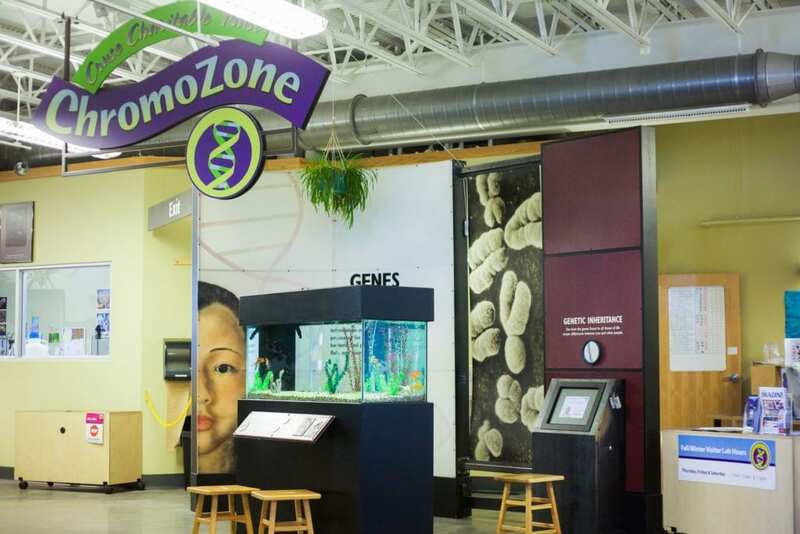 In the Cruse Charitable Trust ChromoZone Gallery learn about basics of life where cells, DNA, and genetics are explored. ChromoZone Lab is open to visitors to slow down, sit down and check out a microscopic view of you. Included in general admission. This third-floor gallery houses the astronomy section of the center! In this exhibit you can experienced the differences in weight in space, look into infinity, or pretend you are a rover! Learn about space and the science that goes along with it.